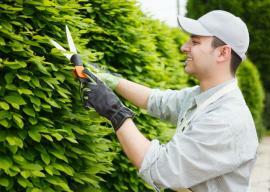 Beautiful Garden › Blog › What Are The Benefits Of Professional Gardening Services In Notting Hill? Getting help in your garden in Notting Hill is a great way of making sure that you are able to enjoy the kind of garden which you have always wanted. 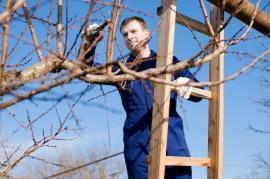 However, many people are still unsure of what exactly hiring in gardening professionals can do for them. With so many services on offer and so many different ways in which to get help in the garden, it can be tough to narrow down the exact ways in which hiring gardening experts can benefit you. 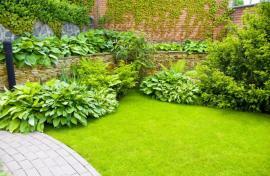 So when you want to make sure that your garden is looking great, what are the benefits of the service? Perhaps the most obvious advantage of garden maintenance from the experts in the W10 region is that they possess a huge amount of expertise and experience. When many people try to handle the gardening themselves, they quickly come up against a lack of knowledge and waste time and effort attempting to educate themselves. This is obviously not the case when hiring in the experts. Whether it is lawn planting or patio cleaning, industry experience and a long history of excellent help means that your garden is not only getting the help it needs, but that this help is off the highest possible standard. When you want to make sure that you are gardening in the correct manner and that there is no better option around, hiring in the gardening services means expert help every single time. Another great benefit of hiring in professional help in Notting Hill, W11 is that you are able to save a huge amount of time. For many people, the lack of expertise in the gardening world means that any progress which they do make will be slow and ineffective. Coupled with this, it can be tough to fit around a busy schedule and many people find that they are sacrificing the gardening to best fulfil work and social commitments. If this sounds anything like the problems which you are having, or even if you need gardening work done to a deadline, then hiring in the experts means that you can get the best help without having to worry about the exact timings of everything in question. One of the best things about being able to hire in expert gardening care services in Notting Hill is that you can make massive changes in order to get the kind of garden which you have always wanted. For many people, the garden which they currently have might not be ideal, but they do not have the skills required to make the changes which they would like. In circumstances such as these, it can be easy to simply hire in a professional and expert landscape gardener in the W10 area in order to make the changes in a quick and easy fashion. With time spent in the industry and the right tools and equipment, the gardeners who you hire can make the changes which are required in order to make sure that you are able to fully enjoy your garden as you had always imagined it.